Each of our clearance light brackets are boxed in at the front to prevent rocks and brush from breaking the lens or bulbs. 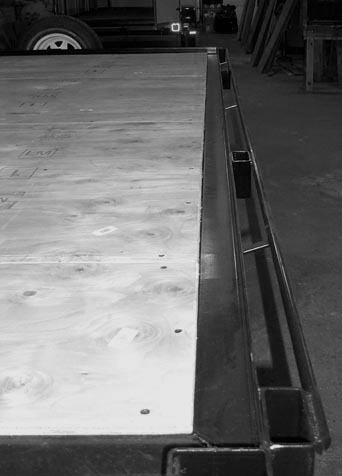 All wiring is run through EMT conduit rather than taping to the bottom of the trailer or drilling and running through the frame. 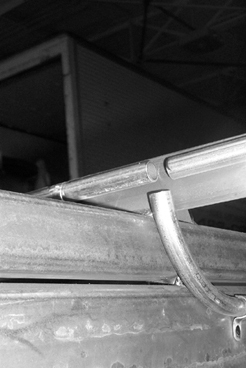 The ends of the conduit are sealed to avoid water infiltration. 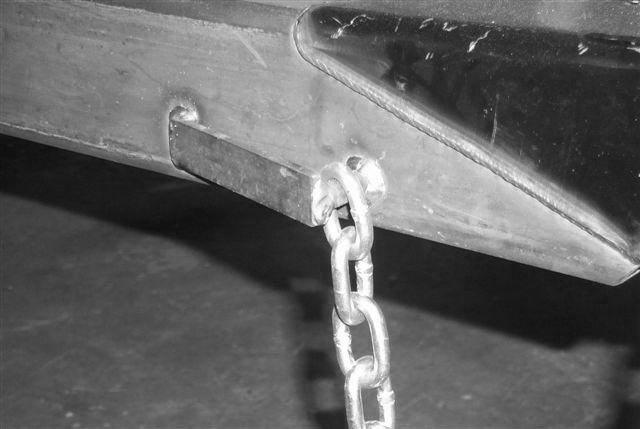 Our safety chains are not simply bolted or welded to the tongue. 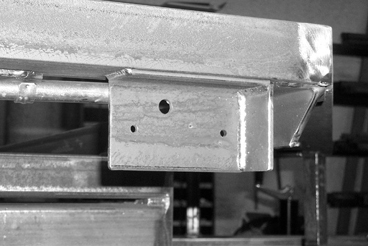 We incorporate a welded-in-place bracket for maximum strength. These are not cheap pre-fab pockets. Ours are made using 2in x 4in x 3/16in regular tubing. 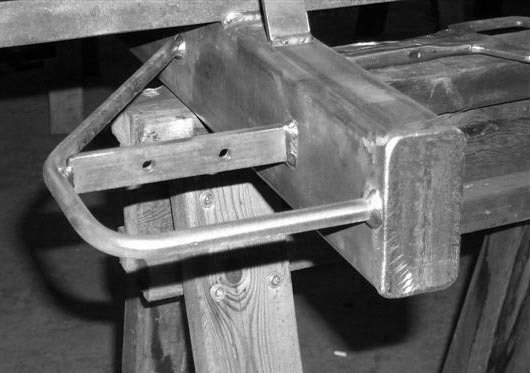 Tie downs on each side act as bracing, but the main strength feature is the brace welded under the pocket to the main frame of the trailer. This design makes it virtually impossible to remove pocket from the trailer frame. 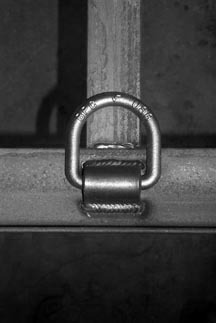 Heavy duty D-Ring ties are fully welded in place and have over 20,000 pounds maximum break strength. Smooth ring edges won't cut or snag rope or straps. Available in multiple sizes and may be placed anywhere on the frame. Tail light bracket has guard to help prevent brush damage. We can easily incorporate a piece of thick rubber to the bracket to also revent rock damage. 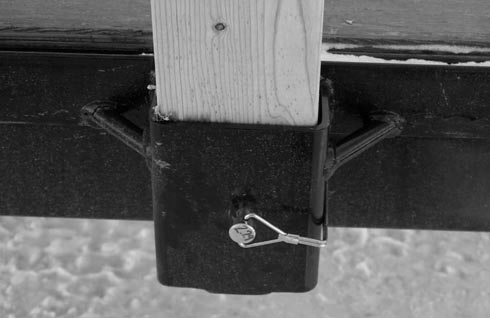 An alternative to the D-Ring tie down, allows for securing your load at any point around the perimeter of the trailer. Also serves as a latching point for the ramp so loading can be done from side or rear of unit. 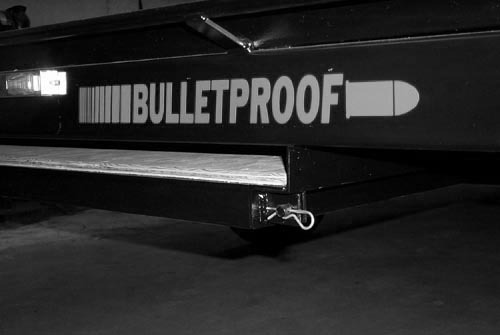 The ramp conveniently slides into a pocket under the trailer. It is positively pinned in place so it can't rattle or bounce out.